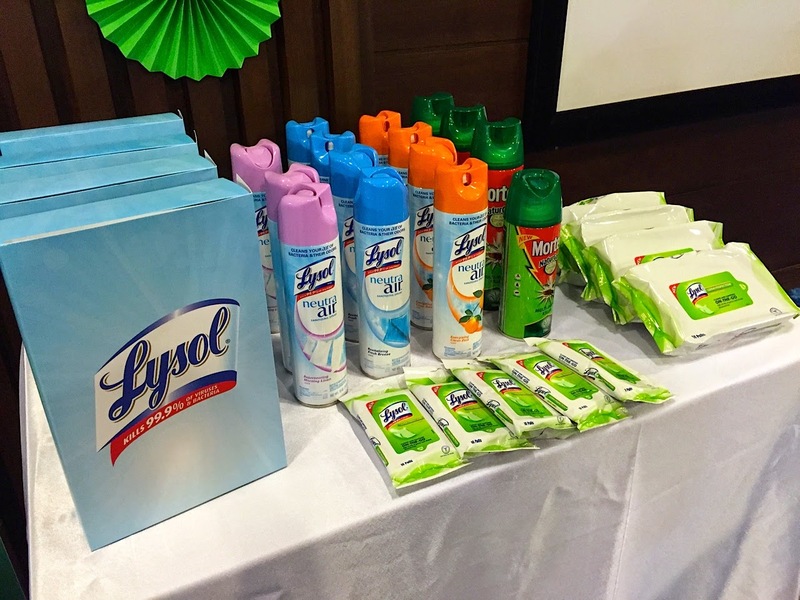 Food and Lysol, you'd never think they'd go together like a horse and carriage. Or Beavis & Butthead. Or Mario & Luigi. Or Romy & Michelle. 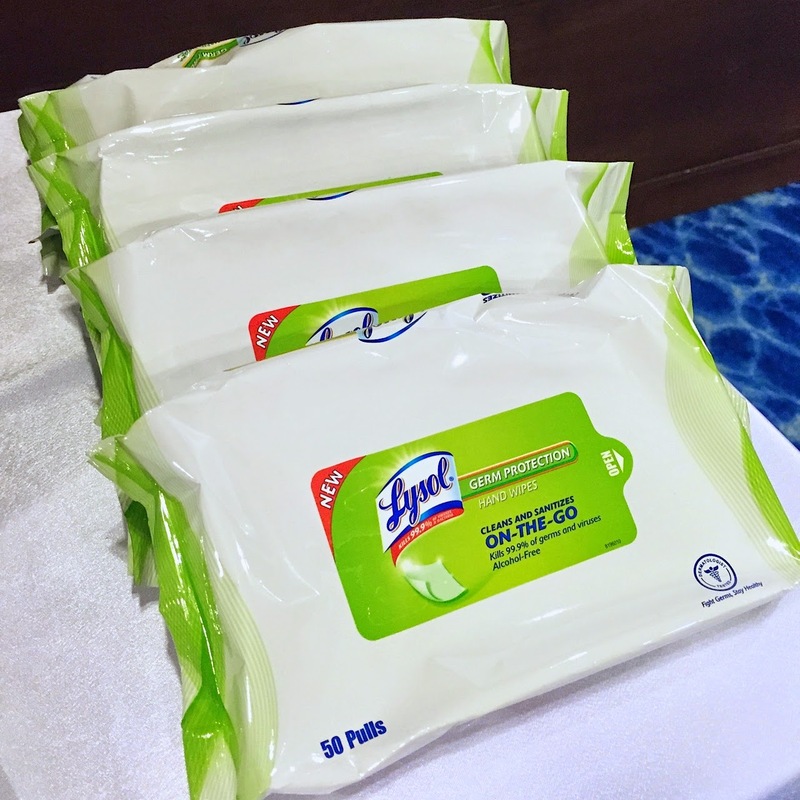 But you know what, with the soon to be available Lysol Germ Protection Hand Wipes, it's about to become a match made in germ-free heaven. 1. Kills 99.9% of illness causing germs and bacteria, like the flu virus, strep throat, even dermatitis. 2. Dermatologically-tested to be mild for everyday use - it's alcohol free with a nice, soft texture. Smells good too! 3. 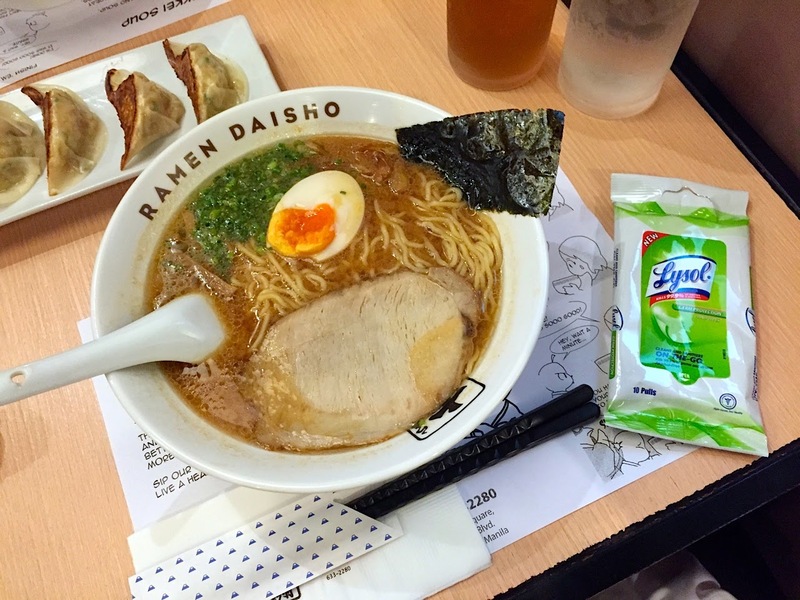 Comes in a compact, convenient, resealable pack that is ready to use any time, anywhere. There are two pack sizes, the one above comes in 10s and retails for about Php35, and the one below with 50 pulls, retails for Php140. For sure, I'll be carrying the small pack in my bag, and the bigger pack to keep in Tepper's diaper bag. Better be armed because I've got 3 sets of grimy little hands to disinfectant when we're dining out. These should be available in your favorite grocery stores soon, and for sure, at SM Supermarkets in about a week. While at it, check out Lysol's new Neutra Air liquid disinfectant spray and air sanitizer in 1. As per usual, it kills 99.9% of germs and bacteria, while also getting rid of the smell of smoke, food, molds, mildew, bathroom and pet odors. It comes in three scents, Morning Linen, Fresh Breeze and Orange Zest. Oh oh oh! Another great discovery of the day is Mortein NaturGard Multi-Insect Killer with Citronella Oil. My friend Didi of The Candishhh Tales swears by it. She says this is what she uses at their home, because it's a safe way to get rid of insects. It doesn't have kerosene, is water-based and is made from 100% natural extracts, is made of 100% natural extracts that is combined to make a powerful insect killer. It smells like Citronella, which is a known natural insect repellant and killer. Should be worth a try! 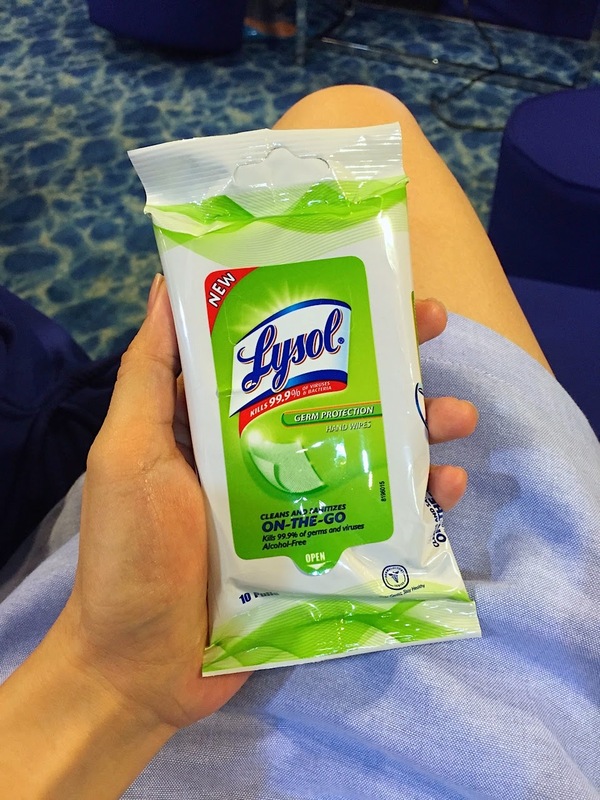 For more on Lysol and their latest products, follow @LysolPH on Instagram, and visit their Facebook Page, www.facebook.com/LysolPH.